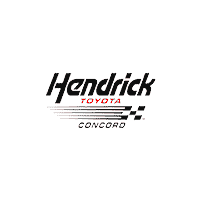 Hendrick Concord Toyota sales department can help you find a car that suits your particular tastes, including the trim, color, and technological features installed in the car. Some of the fantastic new Toyota models we have include the 2019 Toyota Camry, RAV4, Corolla, Tacoma and many more. Concord customers can take advantage of our new specials or OEM incentives to find the Toyota car of your dreams which are priced to please. You can check out our stock online or come visit us. Our sales associates are eager to match you with the car of your dreams. Schedule a test drive online then come on down to see us! Hendrick Concord Toyota has a variety of models so you can enjoy this reliable performance in any of its forms. For example, if you want a truck with impressive towing capabilities, the Toyota Tacoma will provide you with considerable power for many years. If instead, you need exceptional fuel efficiency, the Toyota Corolla will suit you well. Perhaps you need a standard mid-sized sedan? If so, the Toyota Camry is anything but standard, as it is the total package. Finally, if you want maximum versatility, you can’t go wrong with the Toyota RAV4, as this car is built to tackle whatever tasks you need to be done. Simply put, your needs will be met with our fantastic Toyota vehicles. Visit us today at 7670 Bruton Smith Blvd. Concord, NC 28027! Tacoma: *For well-qualified lessees with approved credit through Southeast Toyota Finance. Not all lessees will qualify for this payment amount. Closed-end lease on new 2019 Tacoma SR5 Double Cab V6 model # 7146, excludes TRD Pro, with automatic transmission and select equipment. Adding options increases payment. $209.00 per month for 36 months. $3,508 due at signing includes $3,299 down payment and first month’s payment. No security deposit required. $29,127 Adjusted Capitalized Cost is based on down payment; excludes tax, tag, registration, title and $699 dealer admin fee. Monthly payments do not include applicable taxes. Lessee pays the remainder of maintenance after ToyotaCare expires, excess wear and use, and $0.18 per mile over 12,000 miles per year. Lease payments total $7,524. Disposition Fee of $350 due at lease-end. May not be combined with certain other offers. Must take delivery between 04/02/19 and 04/30/19. **0.0/0.9/1.9/2.9 annual percentage rate financing on new 2019 Tacoma, excludes TRD Pro, with respective terms of 36/48/60/72 months. This offer applies to well-qualified buyers and requires approved credit and financing through Southeast Toyota Finance. Not all buyers will qualify for these rates. Payments may be deferred for the first 90 days; interest accrues from inception. Monthly payment for every $1,000 financed is 0.0% – 36 months = $27.78; 0.9% – 48 months = $21.25; 1.9% – 60 months = $17.54; 2.9% – 72 months = $15.22. No down payment required. Excludes tax, tag, registration, title and $699 dealer admin fee. May not be combined with certain other offers. Must complete retail sale and take delivery between 04/02/19 and 04/30/19. Camry: *For well-qualified lessees with approved credit through Southeast Toyota Finance. Not all lessees will qualify for this payment amount. Closed-end lease on new 2019 Camry LE (Non-Hybrid) model # 2532 with automatic transmission and select equipment. Adding options increases payment. $219.00 per month for 36 months. $3,518 due at signing includes $3,299 down payment and first month’s payment. No security deposit required. $21,830 Adjusted Capitalized Cost is based on down payment; excludes tax, tag, registration, title and $699 dealer admin fee. Monthly payments do not include applicable taxes. Lessee pays the remainder of maintenance after ToyotaCare expires, excess wear and use, and $0.18 per mile over 12,000 miles per year. Lease payments total $7,884. Disposition Fee of $350 due at lease-end. May not be combined with certain other offers. Must take delivery between 04/02/19 and 04/30/19. **0.0/0.9/1.9/2.9 annual percentage rate financing on new 2019 Camry (Non-Hybrid) with respective terms of 36/48/60/72 months. This offer applies to well-qualified buyers and requires approved credit and financing through Southeast Toyota Finance. Not all buyers will qualify for these rates. Payments may be deferred for the first 90 days; interest accrues from inception. Monthly payment for every $1,000 financed is 0.0% – 36 months = $27.78; 0.9% – 48 months = $21.25; 1.9% – 60 months = $17.54; 2.9% – 72 months = $15.22. No down payment required. $500.00 Bonus Cash on new 2019 Camry (Non-Hybrid) must be used toward purchase. May not be combined with certain other offers. Excludes tax, tag, registration, title and $699 dealer admin fee. Must complete retail sale and take delivery between 04/02/19 and 04/30/19. RAV4: *For well-qualified lessees with approved credit through Southeast Toyota Finance. Not all lessees will qualify for this payment amount. Closed-end lease on new 2019 RAV4 LE (Non-Hybrid) model # 4430 with automatic transmission and select equipment. Adding options increases payment. $239.00 per month for 36 months. $3,538 due at signing includes $3,299 down payment and first month’s payment. No security deposit required. $23,543 Adjusted Capitalized Cost is based on down payment; excludes tax, tag, registration, title and $699 dealer admin fee. Monthly payments do not include applicable taxes. Lessee pays the remainder of maintenance after ToyotaCare expires, excess wear and use, and $0.18 per mile over 12,000 miles per year. Lease payments total $8,604. Disposition Fee of $350 due at lease-end. May not be combined with certain other offers. Must take delivery between 04/02/19 and 04/30/19. **1.9/1.9/2.9/3.49 annual percentage rate financing on new 2019 RAV4 (Non-Hybrid) with respective terms of 36/48/60/72 months. This offer applies to well-qualified buyers and requires approved credit and financing through Southeast Toyota Finance. Not all buyers will qualify for these rates. Payments may be deferred for the first 90 days; interest accrues from inception. Monthly payment for every $1,000 financed is 1.9% – 36 months = $28.69; 1.9% – 48 months = $21.72; 2.9% – 60 months = $18.01 – 3.49% – 72 months = $15.41. No down payment required. $500.00 Bonus Cash on new 2019 RAV4 (Non-Hybrid) must be used toward purchase. May not be combined with certain other offers. Excludes tax, tag, registration, title and $699 dealer admin fee. Must complete retail sale and take delivery between 04/02/19 and 04/30/19. Highlander: *For well-qualified lessees with approved credit through Southeast Toyota Finance. Not all lessees will qualify for this payment amount. Closed-end lease on new 2019 Highlander LE (Non-Hybrid) model # 6942 with automatic transmission and select equipment. Adding options increases payment. $249.00 per month for 36 months. $3,248 due at signing includes $2,999 down payment and first month’s payment. No security deposit required. $28,734 Adjusted Capitalized Cost is based on down payment; excludes tax, tag, registration, title and $699 dealer admin fee. Monthly payments do not include applicable taxes. Lessee pays the remainder of maintenance after ToyotaCare expires, excess wear and use, and $0.18 per mile over 12,000 miles per year. Lease payments total $8,964. Disposition Fee of $350 due at lease-end. May not be combined with certain other offers. Must take delivery between 04/02/19 and 04/30/19. **0.0/0.0/0.9/1.9 annual percentage rate financing on new 2019 Highlander (Non-Hybrid) with respective terms of 36/48/60/72 months. This offer applies to well-qualified buyers and requires approved credit and financing through Southeast Toyota Finance. Not all buyers will qualify for these rates. Payments may be deferred for the first 90 days; interest accrues from inception. Monthly payment for every $1,000 financed is 0.0% – 36 months = $27.78; 0.0% – 48 months = $20.83; 0.9% – 60 months = $17.08; 1.9% – 72 months = $14.75. No down payment required. $500.00 Bonus Cash on new 2019 Highlander (Non-Hybrid) must be used toward purchase. May not be combined with any other offers except this Special APR Financing offer. Excludes tax, tag, registration, title and $699 dealer admin fee. Must complete retail sale and take delivery between 04/02/19 and 04/30/19.